Recent research has demonstrated that gamma-tocopherol, the main dietary source of vitamin E, may have an important role in supporting health. Gamma-tocopherol is a more effective antioxidant than alpha-tocopherol for trapping some kinds of free radicals and alpha-tocopherol alone may not be adequate to combat oxidative stress. Gamma-tocopherol also inhibits the COX-2 enzyme and may be an important factor for a healthy cardiovascular system. Taking alpha-tocopherol alone may cause decreased gamma-tocopherol levels in the body, while giving gamma-tocopherol together with alpha-tocopherol supports higher levels of both isomers in the body. 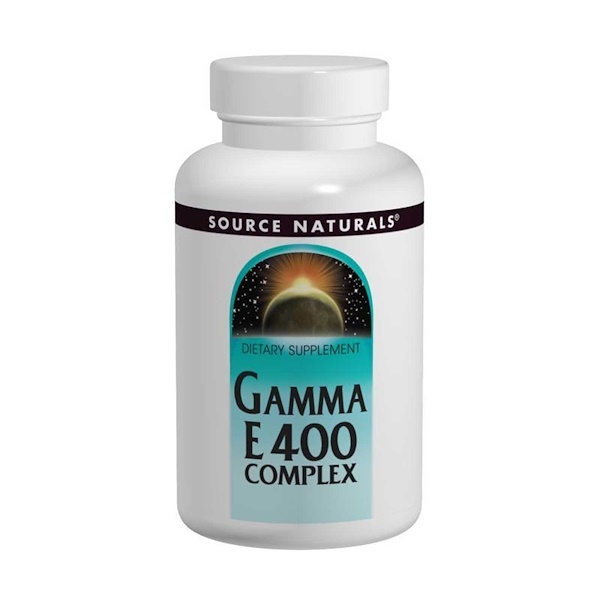 Source Naturals Gamma E 400 Complex contains tocotrienols from palm fruit, which provides all four tocotrienols: alpha, beta, gamma, and delta. Sesame seed oil, which contains gamma-tocopherol, is used as the base.